B & N Hotrod has been a dealer for Performance Rod & Custom for over 15 years! Having cooling problems? or those annoying leaks? 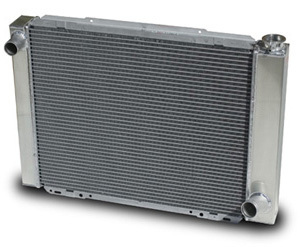 You may need to consider changing over to a PRC aluminum radiator. Tri-five, Chevy car & truck, Ford car & truck, Mopar, Custom, SPAL fans..... anything you need to keep your engine cool! Check 'em out below! Contact us today to get a quote on your next radiator! !